Kerry Baikie is our Property Investment Director, Kerry has been with SCREP since early 2004, 18 months with RealWay Mooloolaba and has been with SCREP (Formerly RealWay Caloundra) since August 2005. 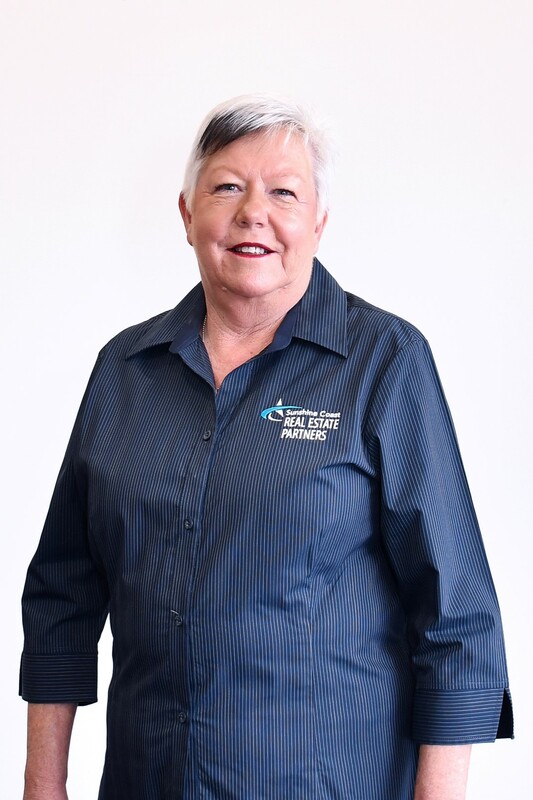 Originally from Bondi in NSW Kerry and her family have followed the beaches north before finally settling in Moffat Beach in 2001, stopping for 10 years on the Gold Coast & 16 years at Scarborough on the Redcliffe Peninsula. She and her husband have 3 adult children now all married and 5 beautiful grandchildren. They love living on the Sunshine Coast and have been apart of the Moffat Beach community for many years and now are meeting new friends at Pelican Waters and hope to never have to leave the area. Before entering the Real Estate business Kerry held an extremely satisfying position in middle management in the retirement village industry in Brisbane, in a role she was responsible for sales and advertising in the Village, refurbishments for the individual properties and ongoing financial arrangements of the Residents, plus all aspects of the social side of this communal living. Kerry found her 12 years in this role truly delightful and fulfilling and feels it gave her the people skills she has developed and finds imperative in the Real Estate Industry today. She feels communication is the key to all aspects of life, not just being able to communicate with people on all levels but also to listen to them. During their 37 years of marriage Kerry & her husband have owned several properties, investment properties and also rented several properties. Having had the experience of being a property owner, investor and tenant has been very valuable in assisting Kerry in her current role. Knowing the importance of maintaining a good relationship between the three integral parties involved in Asset Management, the properties' owner, the agent looking after the property and the tenant that calls this property home, are all crucial to a happy and financially viable relationship. Kerry has seen many market changes in the real Estate Industry over the years and believes that whilst come markets are tougher than others and challenges are greater because of this these are the times that we need to rise higher and work smarter not so much longer and harder. These are the times one's people skills must be sharpened and well executed. In all honesty Kerry will tell you she loves her job, and some days can't get enough of it, spending more time at work than at home. Working with and managing her team of fantastic, professional skilled associates at SCREPartners. She is dedicated to Russell and Marita Smith, owners of SCREP, Kerry says two nicer, supportive, more genuine people cannot be found. They are a pleasure to work for and with and Kerry hopes to remain in her role until she retires .....in many years to come. I relied upon Kerry heavily to take care of my property and knew that she would to her utmost ability take care of it as her own.